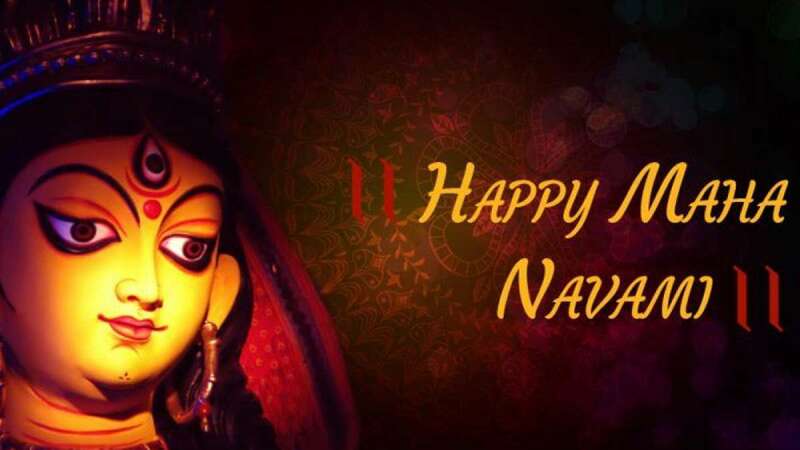 New Delhi : Celebrated in October every year, Navratri ends with Navmi and holds a special significance. It was on Navmi when Goddess Durga annihilated the buffalo demon Mahishasura and veered off his head. Hindus across the world celebrate it as victory of good over evil. This year mahanavmi starts on October 17 and will end on October 18. 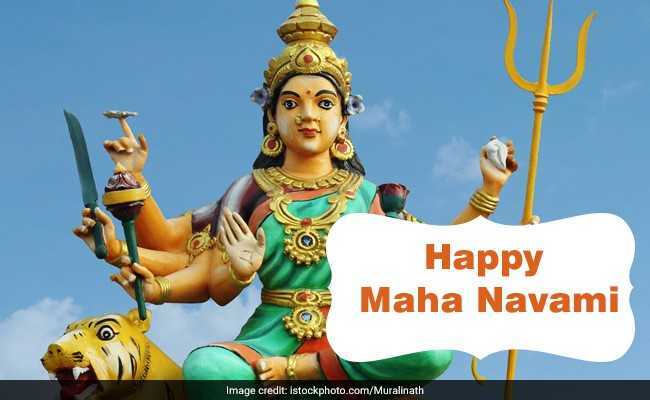 Navratri will culminate on the tenth day with Vijaya Dashami or Dussehra on October 19. According to drikpanchang.com, Navami Tithi Begins from 12:49 pm on October 17 and ends on 15:28 pm on October1 8. Check out images, WhatsApp quotes and messages to wish the day to your loved ones. May the Goddess give you power and strength to take on life's battles with ease. Happy Maha Navami! I pray to Goddess Durga for your long life and well-being. Happy Maha Navami! O Maiya! Hum Sab Utaare Teri Aarti! Maa Durga Ke Aashirwad Se Aapke Mann Ki Har Muraad Poori Ho. 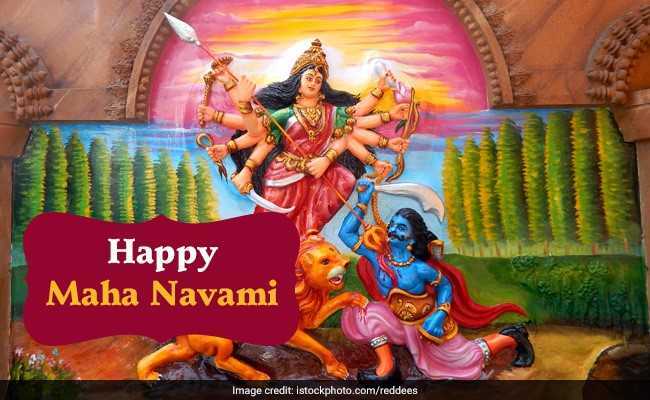 On This Auspicious Occasion Of Durga Navami, I Wish You Are Blessed With Prosperity And Success. Happy Maha Navami! Thank you Maa Durga for blessing us with strength to perform fasts and pooja throughout navratras. 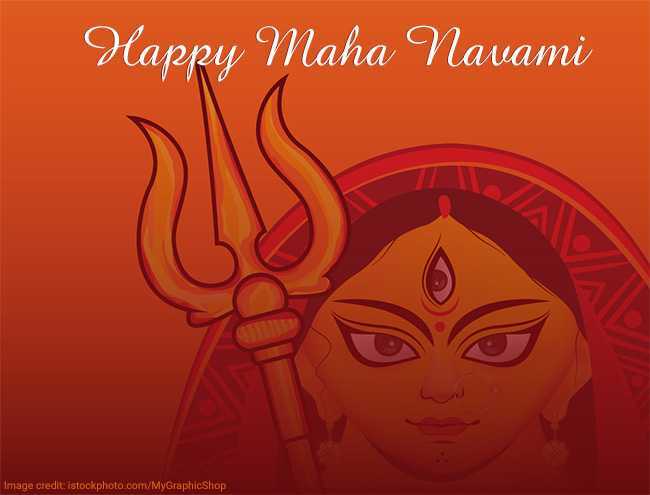 Happy Maha Navami to all!